After hosting the Paris Saint-Germain on the first day of the Champions League (3-2), Liverpool moves on the lawn of an equally formidable opponent. Indeed, the Reds find Napoli for the second day. Well settled in second place in Serie A, Neapolitan players will try to create a surprise in this pool. For this, the men of Carlo Ancelotti started very badly conceding the draw on the field of Etoile Rouge Belgrade (0-0). The Italian club will have to make a result against Liverpool to revive the race for qualification. However, the task looks very difficult against the finalist of the previous edition. You should know that the teammates of Sadio Mané are tied for first place in the Premier League. 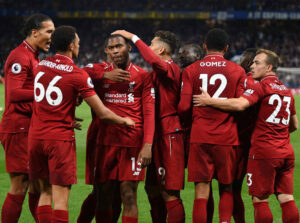 Jürgen Klopp’s men had six wins and one draw. The Reds could well succeed in getting a result on the lawn of Napoli. The Reds still have not lost in the Premier League (6 wins, 1 draw). Outdoors, Liverpool has not seen the slightest defeat this season. Jürgen Klopp’s men started well by winning against Paris Saint-Germain (3-2). This is not the case of Napoli who conceded a draw in Belgrade (0-0). Liverpool will try to get closer to qualifying. If the Napoli is difficult to move this season, Liverpool is one of the favorites to win the Champions League. To finish in first place in the group, the Reds are planning to make a profit in Italy.